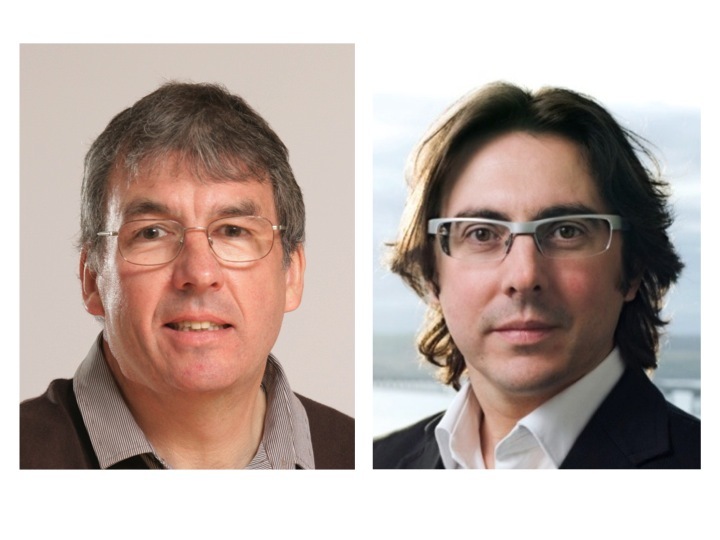 Professor Andrew Hopkins, Professor of Medicinal Informatics and Director of the SULSA (Scottish Universities Life Sciences Alliance) and Professor Geoffrey Gadd, Boyd Baxter Chair of Biology, University of Dundee have been elected Fellows of the Learned Society of Wales (FLSW). Since its formation in 2011 the FLSW has elected to its Fellowship academics resident in Wales, of Welsh birth or with a particular connection to Wales who have demonstrated excellence and achievement in the academic disciplines as well as professionals who have made a distinguished contribution to the world of learning. This 2014 election has strengthened the Society considerably, adding forty-three Fellows to its ranks. Like the Founding Fellows and the Fellows elected in 2011, 2012 and 2013, the newly elected Fellows represent a broad range of academic disciplines. Most are based in Welsh universities but a number, including Professors Hopkins and Gadd are based in other parts of the United Kingdom or overseas. Andrew Hopkins attended the University of Manchester on a British Steel Scholarship, graduating with First Class Honours in Chemistry. Following a spell in the steel industry, Andrew undertook a doctorate in molecular biophysics under at the University of Oxford under the supervision of Professor David Stuart FRS. Directly from Oxford he joined Pfizer in 1998, where he established various new functions for the company including the Target Analysis Group, Indications Discovery and Knowledge Discovery. He has won several awards including the Royal Society of Chemistry’s Capps Green Zomaya medal (2008); Corwin Hansch Award (2007); Pfizer Team Achievement Award (2004); Pfizer Achievement Award (2002); Pfizer Leadership Award (2002). Andrew’s papers include the highest cited paper published in the past 5 years by Nature Chemical Biology and the second highest cited paper ever published by Nature Reviews Drug Discovery. Geoffrey Gadd, holds the prestigious Boyd-Baxter Chair of Biology in the College of Life Sciences, University of Dundee, and has been full Professor of Microbiology since 1995, specialising in Geomicrobiology, Geomycology and Bioremediation. He is a pioneer in the field of metal-mineral-microbe interactions and recently received the Royal Society of Edinburgh Sir James Black Prize, as well as the Colworth Prize of the Society for General Microbiology for outstanding contributions to geomicrobiology. He is a Fellow of the Royal Society of Edinburgh, has won the Benefactor’s Medal and the President’s Award from the British Mycological Society, and the Charles Thom Award from the Society for Industrial Microbiology for contributions to applied microbiological sciences.